Glad you’re feeling better and are making this admission. We could all do better at admitting when we’re wrong….especially about our assumptions. Thanks Valerie – I’m whining less, which is more due to not getting any sympathy around here than recovering! I noticed the chart is for “medical only” claims. 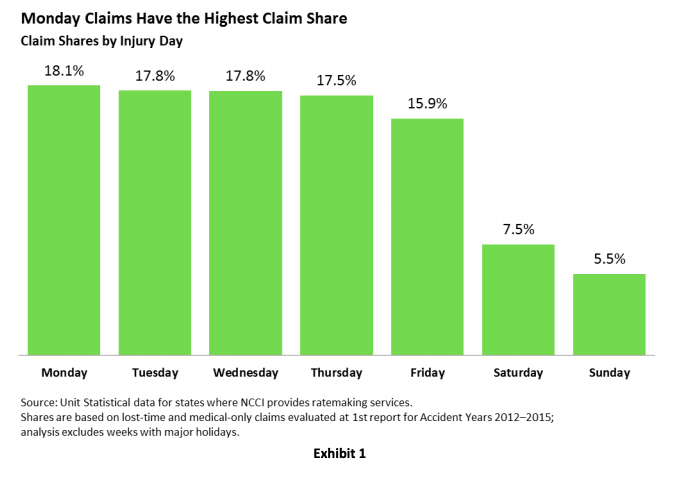 Do you know why that is and if there is the same data on ALL work comp claims? Hi Sue – sorry, you may not be able to see the legend on the chart – it does indicate the data is for moth Med Only and Lost Time claims. Joe, glad you are feeling better. Interesting about the Rand data finding that employees of employers who don’t provide health insurance file fewer comp claims. In a past life, our underwriters strongly considered provision of benefits to be a plus. I’m curious how strong would say the Rand data is? About assumptions, I think myself and others had a good reminder of that recently with the initial conclusions we made about the Lincoln Memorial incident with the Catholic high school students and the Native American group. Previous Previous post: Who’s healthier and why. Next Next post: Why “transparency”?